suzumiki is a Japanese COSPLAY trombone and guitar duo. ☆2/18/2019 show and shimbun have been updated. ☆5/23/2018 show has been updated. ☆4/11/2018 show has been updated. ☆1/20/2018 show has been updated. ☆7/4 show has been updated. ☆11/23 show has been updated. ☆8/25 Bolshoi Suzumiki's website has been updated. Suzuyakko comes back to Japan! Bolshoi Suzumiki will be performing on Fri - Sun, Sep 11 to 13, 2015 at Shinsekai, Roppongi. SPECIAL WEBSITE has been updated. ☆4/21 show has been updated. ☆12/19 show has been updated. ☆9/26 show has been updated. ☆8/2 show has been updated. ☆5/29 show has been updated. ☆Bolshoi suzumiki's special website has just been open! ☆4/10 show has been updated. ☆3/30 show and shimbun have been updated. ☆2/15 show has been updated. ☆1/23 Bio, movie, and shimbun have been updated. ☆1/22 show has been upldated. ☆11/7 shimbun has been updated. ☆10/17 show has been uploaded. 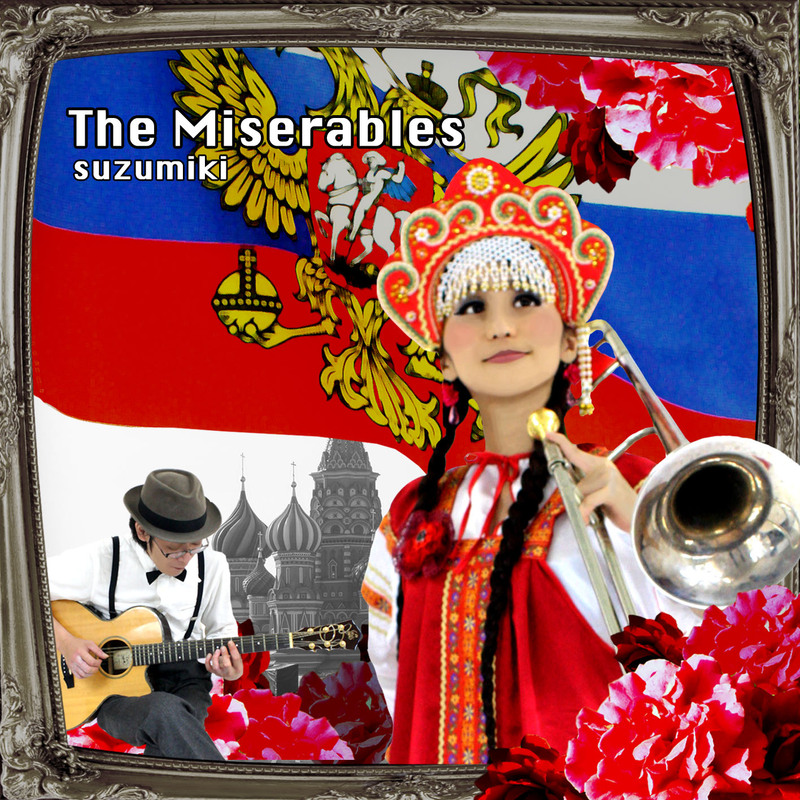 ☆8/17 3rd Album "The Miserables-" is available on iTunes, Amazon, or Spotify! SPECIAL WEBSITE is uploaded. Desperate idol "The Miserables" explains the album. ☆6/25 show, shimbun have been updated. please check the first and second photo books websites!! ☆4/21 suzumiki just uploaded special pages for photo books. ☆3/6 show and biography has been updated. ☆12/20 show has been updated. ☆10/14 show and shimbun have been updated. ☆9/5 show、bio、movie have been updated. ☆8/21 show,shimbun have been updated. ☆7/14 bio,movie have been updated. ☆5/20 show,bio,movie abd shimbun have been updated. ☆3/27 bio and shimbun have been updated. ☆2/4 show, movie and shimbun have been updated. ☆11/12 show and movie have been updated. ☆10/31 bio, show, movie and shimbun have been updated. ☆9/18 discs and show have been updated. ☆8/10 movie and bio have been updated. ☆5/15 show, movie, bio have been updated. ☆4/25 movie, show, bio have been updated. ☆3/8 movie and show have been updated. ☆2/10 movie and show have been updated. ☆2/1 show, bio and movie have been updated. ☆1/21 show, bio and movie have been updated. ☆11/17 show, bio, movie and shimbun have been updated. ☆10/13 suzumiki website is open!!! 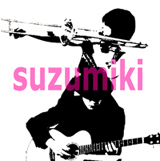 suzumiki is Japanese acoustic pop duo. Suzuyakko plays the trombone and sing with COSPLAY. Miki-tee plays the guitar. Suzuyakko changes her costume for each show. You can see ameba blog, Suzuyakko's website, and myspace.